Japan have made their intentions clear for their last 16 World Cup match against Belgium tonight which takes place in Rostov, they intend to use the team cohesion and structure to defeat Belgium. It was reported in Kyodo news that Maya Yoshida has come out and said that individually Belgium are 100 per cent better than Japan but he believes the team unity can help them defeat Belgium and qualify for the quarter finals. We’re not sure if Yoshida should be coming out and making a statement like that or how it will affect the morale of the Japanese team but at the end of the day he is still just being a realist because people would likely crucify the fella if he said he thinks Japan will hammer Belgium and stroll into the last 16. It has been seen numerous times in the past, and it will be seen numerous times in the future, it really isn’t too difficult to pick out fixtures where a hard working well organised side can defeat a one with better individual talent. It has already been seen a few times in this World Cup, South Korea defeating Germany, Mexico defeating Germany, Russia knocking Spain out (albeit on pens). There is no doubt the so called ‘bigger’ sides can be defeated by the so called ‘smaller’ sides however for it to happen a lot seems to work in the smaller sides favour, some would call it luck; others say it takes hard work to make your own luck. Whatever happens tonight Japan have done well in getting to the last 16, but they’ll need to put in an effort of herculean proportions tonight to get past a Belgium side who have been rampant at the World Cup so far. Have Japan used up all their luck? Japan got lucky in their first game at the World Cup when Colombia had a man sent off in the 3rd minute, which helped towards Japan securing a crucial 2-1 victory from that game, then in the second match the Senegal keeper made a horrendous error for Japan to score their second equaliser. Sitting on 4 points going into the third game against down and out Poland, Japan only needed to secure 1 point to ensure they would make it through to the last 16. Many people thought they would get the 1 point they needed easy enough as Poland had been awful throughout the tournament so far. Instead of gaining the 1 point needed to navigate their way through the group, they went 1-0 down, the goal coming from a Polish free kick and the attacking player was left open to pick his spot and put Poland in front. Therefore Japan either needed to score themselves, or they needed Colombia to defeat Senegal, luckily for Japan Colombia went 1-0 ahead against Senegal and that meant Japan went through to the next round on the basis of less yellow cards only, because everything else used to separate Japan and Senegal was tied. In one of the weirdest endings to any World Cup fixture that most football fans of a certain generation have seen saw Japan widely criticised around the World. Word had got back to Japan’s bench that Senegal were currently a goal down against Colombia. 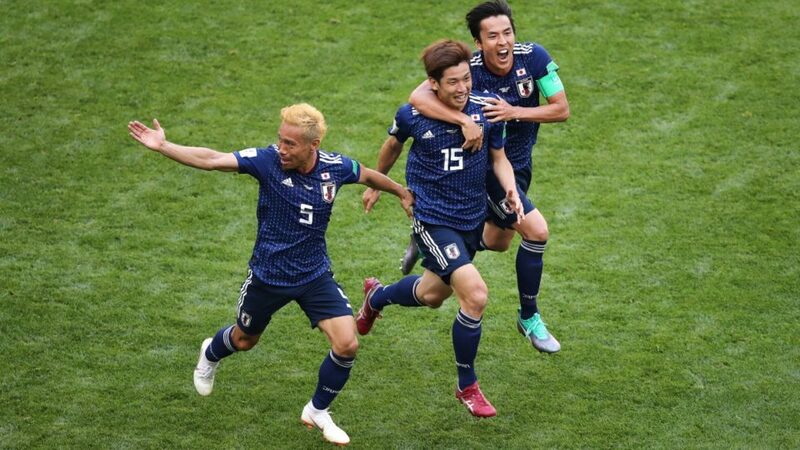 What that meant was that if the scores remained the same then Japan would be through to the next round, and Senegal would be out – and this was down to Japan collecting less yellow cards than Senegal over the course of the three matches. For the last ten minutes of the match, Japan just kept the ball and passed around their defence and midfield with no intention of even trying to break forward to get the goal that would confirm that they would be in the last 16 and wouldn’t be left waiting for news from the other game. As it happens when Japan were doing this Poland refused to press seemingly wary of conceding a goal on the counter attack, they wanted to go home with a win but this seems like a hollow victory because of how the game ended. Expect to see a lot more games like this from 2026 onwards as FIFA have decided to change the format back to three teams a group. Nishino decided that some of his key players from the first two games against Poland needed a rest, when questioned about this after the match he stated that some of the guys were fatigued. The players who come in seemed a bit of the pace, which is unsurprising but this could have cost Japan their spot in the last 16. There is no doubt that they will be back tonight for the game against Belgium, and there will be a hope that with these key players returning the team can cause a surprise or two. Can Japan qualify for the quarter finals? We believe there is only a very slim chance of Japan making it to the quarter finals but we have said that all through this tournament about Japan especially considering the buildup they have had. So far Japan have confounded everything we have said about how they will perform at this World Cup so we kind of feel compelled to keep on predicting them to lose in the vain hope that they end up in the World Cup final against England (farfetched I know). For Japan to have any chance of winning this game, they will need to play exactly as Maya Yoshida has indicated, the collective needs to work as one unit and then they’ll stand a chance. We would probably say the percentage rate would be something around the 20% region meaning we think Belgium will win this comfortably. We predict Belgium to win 2-0 with Lukaku to get both of Belgium’s goals. As for Japan if they lose tonight the tournament will still have been considered a huge success for them and they will leave the tournament as the best performing Asian team.